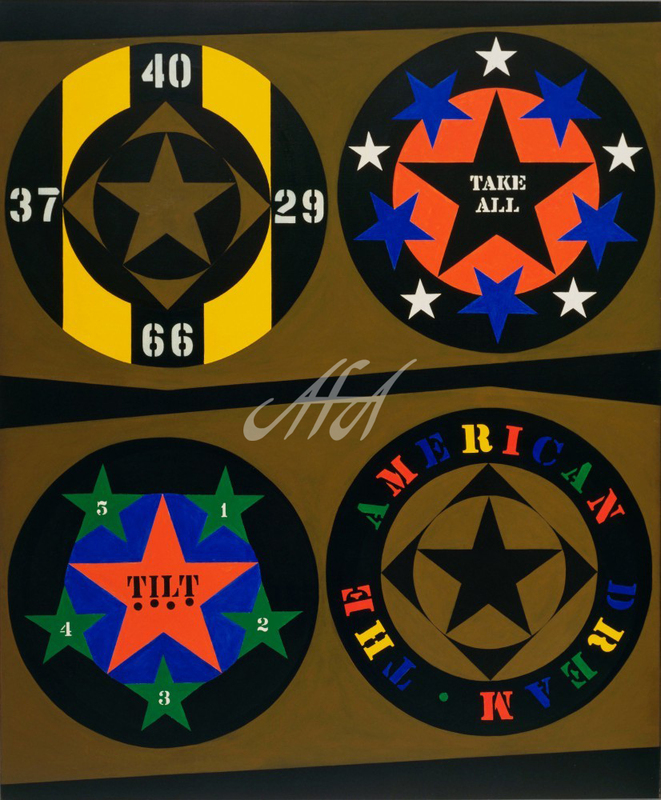 Indiana Artwork — American Fine Art Inc.
Robert Indiana, a distinguished American artist widely known for LOVE, significantly impacted the development of the Pop Art movement. He was born Robert Clark in New Castle, Indiana in 1928. He was adopted as an infant, and much of his childhood was spent moving around the state. As a child, he began to show his artistic talent and was recognized by his first grade teacher who encouraged his growth. In 1942 Indiana attended the Arsenal Technical High School in Indianapolis. After graduation, he served three years in the U.S. Air Force. Afterward he returned to study art, and attended multiple schools, the Art Institute of Chicago, the Skowhegan School of Sculpture and Painting located in Maine, and the Edinburgh College of Art in Scotland. Indiana then relocated to New York where he became acquainted with Ellsworth Kelly, and took up residence in Coenties Slip. It was here at the Slip that had a profound impact on Indiana; he met several different artists in addition to Kelly, including Agnes Martin, and Jack Youngerman. Not only did the people have an impact on Indiana, but also the environment. He was highly inspired by the ginkgo leaves found on the trees in the nearby park. These leaves were incorporated into his 19-foot mural Stavrosis. It was after the mural was complete that the artist took the name of his home state and used it as his own. In addition to murals, he created hanging sculptures as well. Indiana hunted for his materials in abandoned warehouses for his pieces and used these beams and metal wheels to create what he called “herms”, or freestanding sculptures. 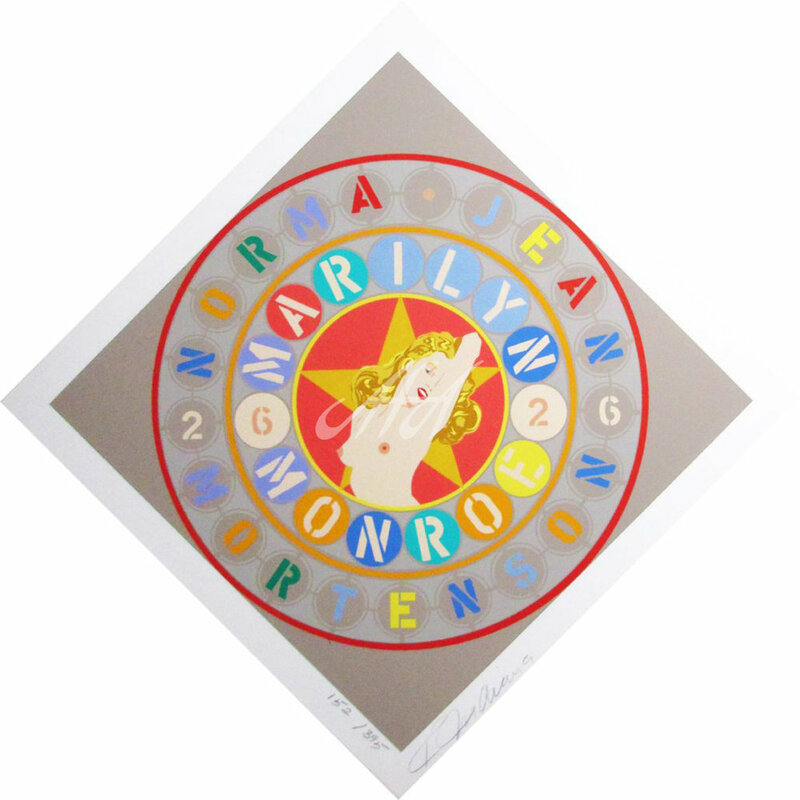 His unique pieces gained popularity quickly and he was considered one of the most creative artists of his generation. He was featured in numerous galleries and museums, such as the Martha Jackson Gallery, the Museum of Modern Art, and the Sidney Janis Gallery. As his popularity increased, he became recognized as a leader of Pop; Indiana remained distinguished by continuing to address political and social issues through references in his pieces. He created a 20-foot EAT sign for the New York World’s Fair. Indiana also collaborated with fellow artists; the 1964 film Eat produced by Andy Warhol features Indiana eating a mushroom in his studio. In 1977 he created a Hebrew version for LOVE, and the steel sculpture remains at the Art Garden in Jerusalem, Israel. Indiana was also the artist behind the HOPE, raising over one million dollars to Democrat Barack Obama’s campaign. 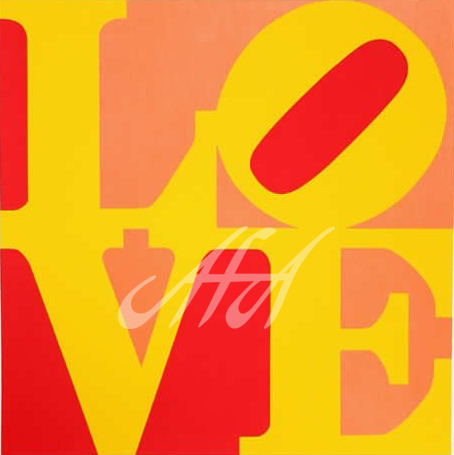 He describes HOPE as “Love’s close relative”. His collections are in galleries and museums alike worldwide by both temporary and permanent exhibition. 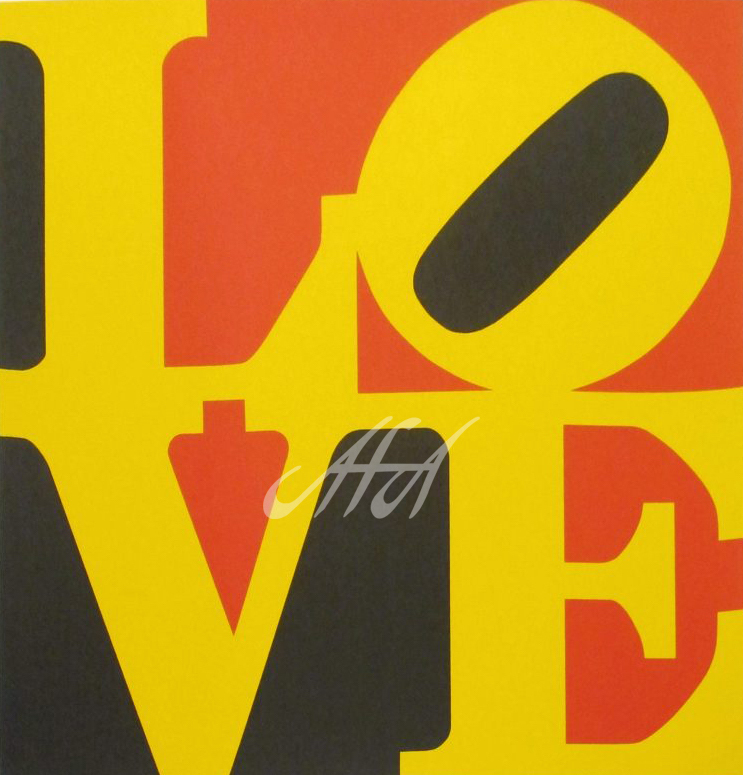 American Fine Art, Inc. is proud to feature the original works and limited editions of Robert Indiana. Visit our 12,000 sq. ft. showroom in Scottsdale, AZ or call today. Our website is offered only as a limited place to browse or refresh your memory and is not a reflection of our current inventory. 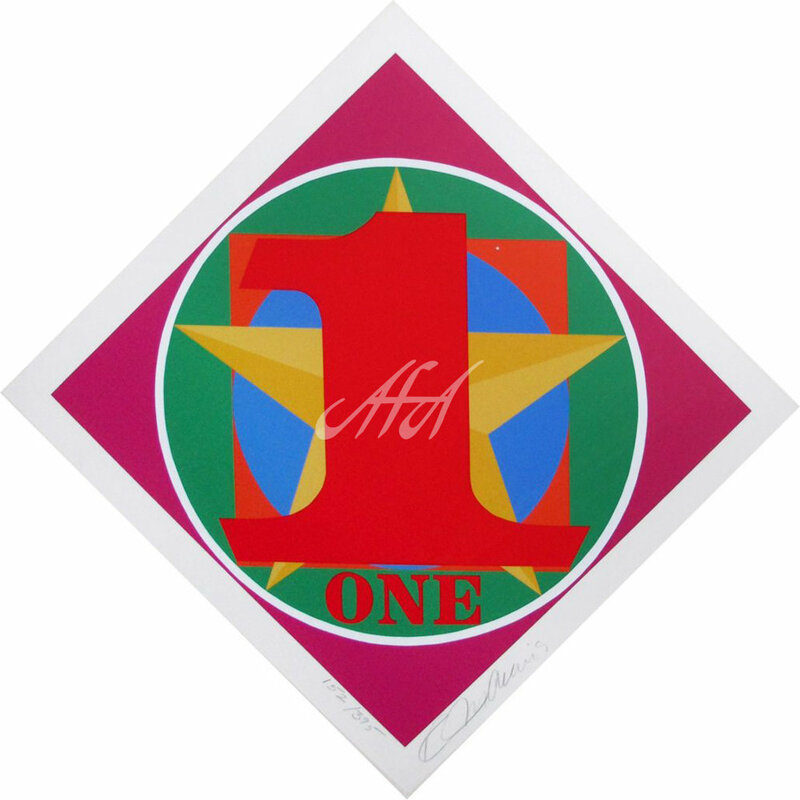 If you need to learn more about collecting, pricing, value or any other art information your International Art Consultant will assist you and give you the one on one attention you deserve. We hope you find our website helpful and look forward to seeing you in Scottsdale soon.